écile Tremblay grew up in Vosne-Romanée. Her parents weren’t winegrowers. Neither were her grandparents. As a teenager she did some vineyard work, but hated it. 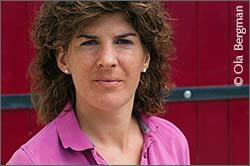 Somehow things changed and today she runs her own four-hectare domaine in Morey-Saint-Denis. – Today I think it is the best job there is. I wake up every morning looking forward to it, she says. She does not know what it was, but something changed a little more than a decade ago when parts of the family vineyards were returned after a very long lease. 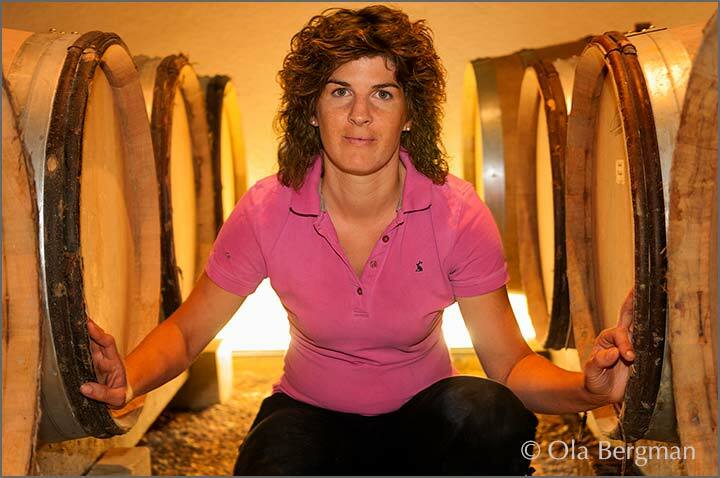 – Our parents asked me and my two brothers if any of us were interested in taking on the vineyards, says Cécile Tremblay. My two older brothers weren’t interested, but I decided to jump on it. – My great-grandfather, Edouard Jayer, was a winemaker. When he and my great-grandmother died the vineyards were rented to other growers. This continued for two generations. 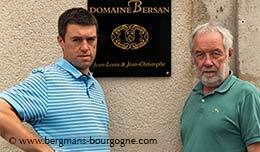 In 2003 three of the seven hectares of the family domaine were returned to me. Since then I have had one more hectare returned and there are another three, in Clos de Vougeot, Vosne-Romanée Les Beaumonts and Morey-Saint-Denis, coming. 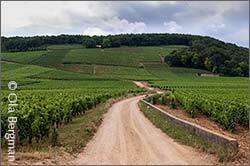 Domaine Cécile Tremblay stretches from Gevrey-Chambertin to Nuits-Saint-Georges, covering eleven appellations, from regional appellation to grand cru. – I have been working organically since the start, explains Cécile Tremblay. It was essential for me. I love life. I care about the life in the vineyards. A large part of the domaine has been certified, the rest is waiting for certification. But I don’t put anything on the labels. It’s just for me. 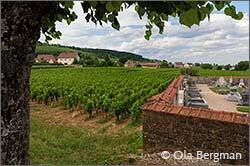 At regional level Cécile Tremblay produces a red Bourgogne from grapes coming from vineyards in Vosne-Romanée and Chambolle-Musigny. Originally it was only from Vosne-Romanée, from a lieu-dit called La Croix Blanche. This is what it says on the label still today, but since 2009 there is also a part from Es Rues in Chambolle-Musigny. 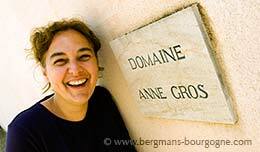 – La Croix Blanche is on the Nuits-Saint-Georges side of Vosne-Romanée, says Cécile Tremblay. A very nice vineyard where the grapes are always very small and the yield low. The vineyards in Chambolle-Musigny is different. Since I haven’t had it for so long I still have to get to know it. Winegrowers usually say you need six or seven years before you know exactly what you want to do with a vineyard. At Domaine Cécile Tremblay there are four village level wines – Nuits-Saint-Georges Cuvée Abuca, Chambolle-Musigny Les Cabottes, Morey-Saint-Denis Très Girard and an old vines Vosne-Romanée. Initially there used to be more wine bottled under village labels. When Cécile Tremblay started out she felt that two of the premier crus – Nuits-Saint-Georges Les Murgers and Vosne-Romanée Les Rouges du Dessus – were not up to par and were therefore blended with the village cuvées. 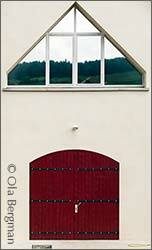 – A murger is a small wall in the vineyards, says Cécile Tremblay. In Les Murger you can find all the stones you need to build walls for all vineyards across Burgundy. It’s a beautiful terroir. You can really taste all the stones in the wine. The wines is all about fruit. The vines are 15 to 20 years old and 2009 was the first year I bottled as premier cru. – Cordon royat is used for one part. The other was re-grafted in 2011. In 2012 I harvested one case from the re-grafted vines. This vineyard is becoming better and better. I’m beginning to be happy with this appellation. 2008 was the premier cru debut for the Vosne-Romanée Les Rouges du Dessus. You will find this premier cru at the top of the slope in Flagey-Echézeaux, just above Echézeaux itself. – I have Echézeaux Du-Dessus too. It’s just 300-400 metres between the two. 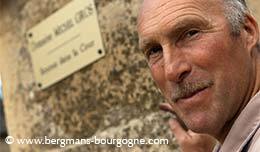 But there is a 15-day difference between when we harvest Echézeaux and when we harvest Les Rouges du Dessus. There is a difference in altitude and while Les Rouges du Dessus is facing northeast Echézeaux is facing south and is much warmer. The grand cru of Echézeaux is a big appellation, too big according to some. It covers 36.25 hectares. Cécile Tremblay agrees, but at the same time she realises that it would be a suicide mission trying to downgrade parts of the appellation. 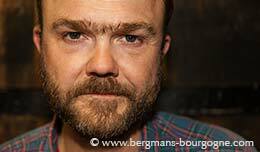 – When I started in 2003 I tasted a lot of Echézeaux because I wanted to get an idea of the appellation. Phew, there were some very different wines there. – I have a friend who also has some Echézeaux, but in the En Orveaux part. It is very good, but when it comes to harvest there is a ten-day difference. 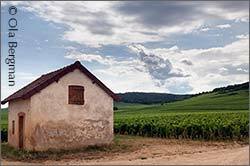 The other grand cru of Domaine Cécile Tremblay is Chapelle-Chambertin, a 0.40 hectare parcel of 50-year-old vines. – I’m in the Gémeaux part of Chapelle-Chambertin, says Cécile Tremblay. 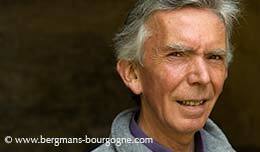 Between Claude Dugat and Rossignol-Trapet. Very good neighbours. The grapes are always the best, so I use 100 per cent whole bunches here. 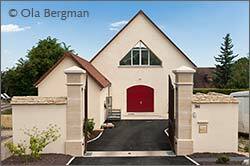 In Chambolle-Musigny there is both village appellation wine as well as a premier cru in the shape of Les Feusselottes. It is located just south of the village, next to the cemetery. – It’s just above Charmes and Chatelots, explains Cécile Tremblay. It’s a parcel of half a hectare. During harvest I pick over a period of a week. I pick, wait for more grapes to ripen, wait, pick again etc. It’s completely different if you compare the bottom part with the top part. At the bottom the soil is deeper. Always small grapes, lots of millerandage. At the top of the parcel there is almost no soil. Just five to ten centimetres, then you hit the rock. – In the past there used to be a quarry here, so it’s a bit like a basin. Then you have the Combe de Chambolle, the valley, that opens up into the plains here, which means you get hot days, but cold nights. In other words, it’s THE place for oidium. It’s a very difficult place to understand. Since 2008 I think I do, but I still spend a lot of time there, just looking, checking.